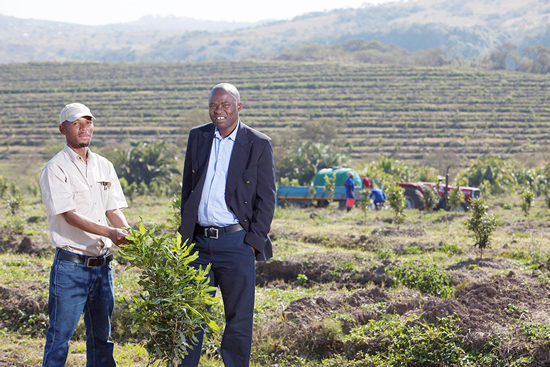 A second major macadamia nut plantation, recently launched in the Eastern Cape, promises a major socio-economic boost for the AmaJingqi rural area near Willowvale. The AmaJingqi Macadamia Farming (AMF) project, which is spearheaded by Eastern Cape Macadamia (ECM), will see 300 hectares planted by April 2017. It is expected to repeat the success seen in Ncerha Macadamia Farms (NMF) near East London. The AMF is partly funded by Indibano Projects, an organisation chaired by former national Minister of Water Affairs and Forestry Lindiwe Hendricks, which raises funds for development projects, mainly in agriculture. infrastructure on behalf of the communities to develop the province’s macadamia industry. ECM is targeting 4 200 hectares for new macadamia plantations, in partnership with rural communities and emerging farmers. AMF’s field officer Lwando Mnqweno, 35, is one of 93 AmaJingqi residents that have been employed by AMF since the start of the project in 2015. “I was unemployed for about five years before I joined the macadamia nut project and life was tough. In just over a year, the project has brought positive change to my life. 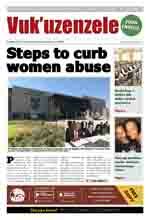 My co-workers and I have a stable income,” says Mnqweno. To date, 100 hectares have been planted in the AmaJingqi community. The macadamia trees are sourced from the five-star Ncera Macadamia Farming nursery that has been accredited by the Southern African Macadamia Growers Association. Most of the area’s population of about 9 500 residents live in poverty, with the youth making up 65 percent, of which 54 percent are female.